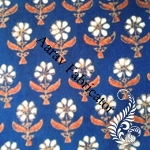 Aarav Fabricator are Manufacturer, Exporter and Supplier of exclusive collection of Designer Bagru Sanganeri Cotton Printed Fabrics, Hand Block Print Fabrics, Cotton Print Suits Fabrics, Cotton Print Bed Sheets Fabrics, Cushions Fabrics and Cotton Printed Dress Materials Fabrics In Jaipur Rajasthan India. 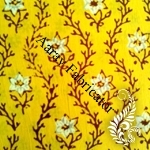 The wide range of cotton Hand Block fabrics manufactured by Aarav Fabricator (Hand Block Print Fabrics Manufacturer) fabrics widely used in textile industry across the world. Hand Block fabrics are available in various designs, hand block pattern and natural colors as per the market demands specified by our clients. We use 100% cotton for the fabrication of these fabrics for stitching flawless garments. These are available in various widths, embellishments, cuts, fit patterns and can be custom made as per the demand of clients. 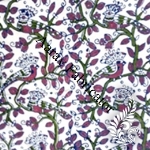 Hand Block Print Fabrics Manufacturer offer an exclusive range of Cotton Printed Fabrics to our clients at cost competitive prices as per quality standard. 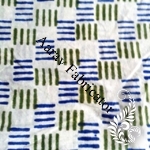 We are manufacturer, supplier and exporter of Bagru Block Print Cotton Fabric with good quality. 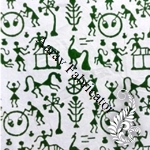 We are a manufacture of Bagru hand block print fabric in multi color and design. Our Bagru Block Print Cotton Fabric range is widely appreciated for designer prints, fancy creative work, skin friendliness, color fastness, easy washing, sun safe colors, etc. Cotton Fabric are available at most reasonable prices and are available as per the requirements of the customers. 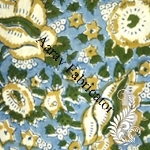 We are a manufacture of famus Sanganeri print cotton fabric in multi color and design. The beautiful art of block Printing employs wooden or metal blocks to print designs and patterns on fabric, by hand. What makes block Printing beautiful is that the design has to be created by the artist before the Printing begins. We are the leading supplier manufacture wholesaler and exporter of Sanganeri Print Dress Material and this Cotton, Chanderi, neon Fabric use all type of cloth items like Cotton Kurtis, Salwar Suit, home furnishing items, bed cover bed sheet and any ladies, child garments items. We are a reputed name in this industry engaged in offering Bagru Hand Block Naptol Print Fabric to the international and domestic market. Our offered Bagru Hand Block Fabric is made from the finest quality raw materials and developed with most recent textile technology in compliance with latest market trends. They are available with us in various attractive and magnificent colors, patterns and designs, as per the clients' choices and requirement. 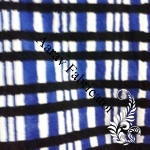 We are a reputed name in this industry engaged in offering Bagru Indigo Print Fabric to the international and domestic market. They are available with us in various attractive and magnificent patterns, colors and designs, as per the clients' choices. 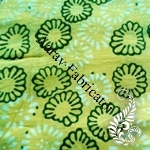 We are a reputed name in this industry engaged in offering Bagru Dabu Hand Block Print Fabric to the international and domestic market. Our offered Bagru Dabu Hand Block Fabric is made from the finest quality raw materials and developed with most recent textile technology in compliance with latest market trends. They are available with us in various attractive and magnificent colors, patterns and designs, as per the clients' choices and demands. 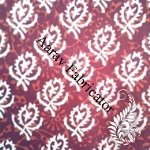 Aarav Fabricators are renowned manufacturers, wholesalers and exporters of cotton products in Rajasthan. 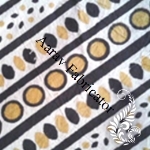 So if you are looking for purely made handcrafted Bagru printed dress material then Aarav Fabricators is your one stop destination. 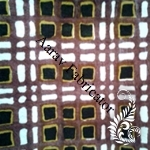 We are unique makers of Bagru hand square print texture in multi shading and outline. Our Bagru Block Print Cotton Fabric run is broadly refreshing for creator prints, fancy creative work, skin benevolence; shading quickness, simple washing, and sun safe colors, so on. Our Cotton Fabrics are accessible at most sensible costs and are accessible according to the prerequisites of the clients and our reliable customers. We, Aarav Fabricators have a reputed name in industry of dealing, manufacturing, wholesaling and exporting pure cotton garments and fabrics. Our specialized artists have a fine experience in designing exquisite Block print dress material in 100% pure cotton fabric in various designs and patterns. Our Hand Block Fabrics are produced using the finest quality crude materials and created with latest material innovation in consistence keeping in pace with latest market trends. They are accessible with us in different alluring and prominent colors, examples and plans, according to the customer's choice and requests. You can view our collection on our website or simply contact us for more info. 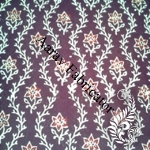 Aarav Fabricators are famous manufactures and wholesalers of Block print Fabric Sanganer. The delightful specialty of block Printing utilizes wooden or metal pieces to print plans and examples on texture, by hand. What makes block Printing excellent is that the outline must be made by the craftsman before the Printing starts. We are the renowned providers, makers and exporter of Sanganeri print Cotton, Chanderi, neon Fabric utilize all sort of fabric things like Cotton Kurtis, Salwar Suit, home outfitting things, bed blanket bed sheet and any women. You can view our wide collection on our website. 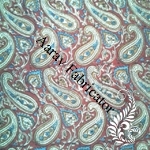 All our fabrics are exclusively designed keeping in mind industry norms and standards. 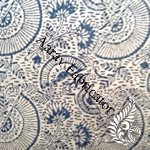 The extensive variety of Hand block printed Cotton Dress Materials made by Aarav Fabricator are generally utilized as a part of material industry over the world. Hand Block textures are accessible in different outlines, hand block pattern and attractive colors according to the market requests indicated by our customers. We utilize 100% cotton for the manufacture of these textures for sewing impeccable articles of clothing. These are accessible in different widths, embellishments, cuts, fit examples and can be uniquely crafted according to the request of customers. 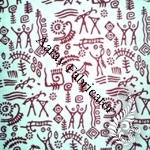 Hand Block Print Fabrics Manufacturer offer a selective scope of Cotton Printed Fabrics to our customers at cost aggressive costs according to quality standard.